So what's the general way to raise crickets anyway? One 10gal tank for adults and one 10gal tank for pinheads & eggs? Probably use a coconut fiber bedding in the pinhead tank for their very high humidity needs? Also, since I could only expect to keep maybe 1,000-2,000 crickets at a time, I can become a local free cricket source for reptile and ant lovers alike. Edited by CampoKing, September 15 2018 - 3:46 PM. I do know that a lot of pet stores put like a tray with some ice in it so the crickets can go there to cool down? somewhere near the side of the nest. It is likely the substance you thought was ice, was actually water crystals. Yeah those hydrogels don't make me comfy, as most are made of polymers of the neurotoxin acrylamide with no clear details on the release of those toxic monomers. But water bowls with a plastic scrubby are good. Damn, I forgot to grab a link while on pc, I will later. A guy called Arachnoclown has a good video on how he does it, the best method I've ever seen. You can probably find him on YouTube easily enough though. I can tell you the basics. You keep them dry, oats,coco peat or some kitty litters as substrate. Place tubs of a moist substrate in there, can be a peat/sand mix or something like vermiculite. 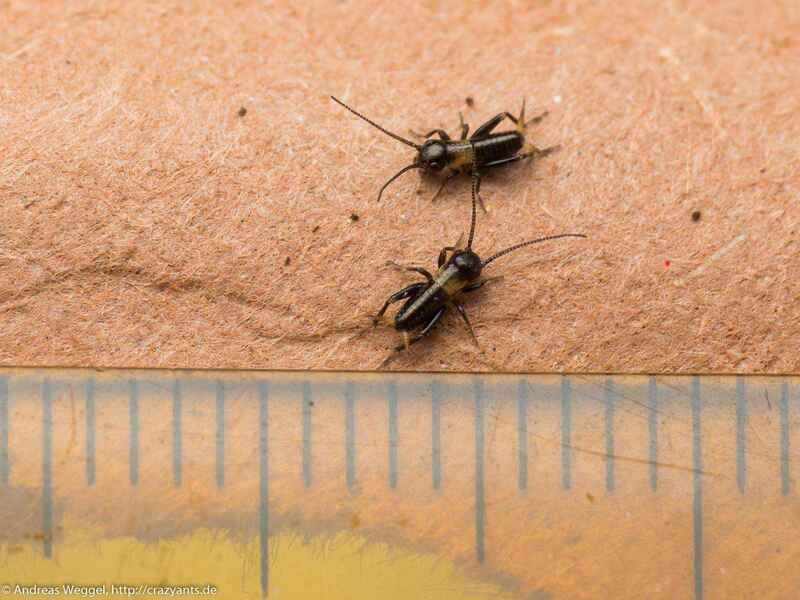 The adult crickets deposit their eggs in the tubs, you remove the tubs and put them into another enclosure to hatch and grow. You replace the tubs as you remove them, when the eggs have hatched you swap the tubs over again. You then have a constant supply of baby crickets. 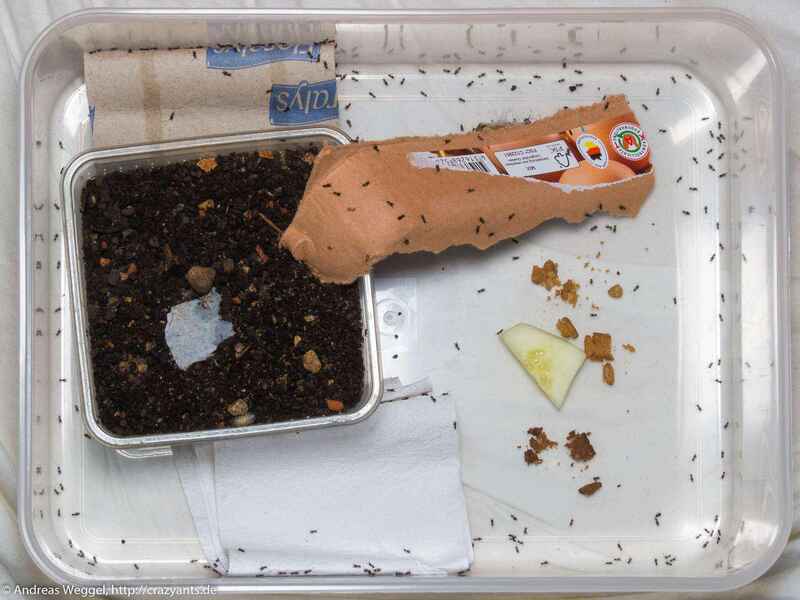 You can separate them as they grow, or let each batch grow up separately and have several hatching/growing enclosures being used in rotation, the enclosure with the largest crickets becomes the breeding enclosure with the preceding breeders being used as food. Their enclosure is then cleaned and set up for the next batch of eggs. You keep the substrate dry and the tubs damp, feed them vegetables and perhaps some protein like dry cat/dog/fish food and you'll be fine. Decor is egg cartons and cardboard stacked to make as many hidey holes as possible to reduce cannibalism. Given enough fesh vegetables they won't need water, it's more of a liability. I can't think of much else to add. That's what I've done in the past but crickets are much noisier than mealworms or roaches and require more heat so I don't bother anymore. Arachnoclown does it differently, it's worth checking his video out, I don't know how he stands the chirping to be honest, it was annoying me just watching the video! Edited by DaveJay, September 16 2018 - 12:04 AM. While I've found no evidence that toxic decomposition components are released during normal use, water gel safety for offering water to crickets, which are then fed to reptiles and amphibians, is well-established through several decades of use. If you have another method you prefer and works for you, that's great. But avoiding the use of a polymer gel that's generally recognized as safe is kind of like avoiding microwaved food because you believe that vibrating water molecules somehow makes the food radioactive. I kept mine in a 40x30x30 cm plastic box. I did use any substrate. On one side of the box I had some egg cartons, this was also the side which was heated by a heating pad. The other side was free so I could offer there food. Make sure to remove any dead crickets quickly because they can smell an spread diseases to the others. When you finally have some adults (males will start to chirp), add another box filled with moist soil and place it inside the large box. Make sure the crickets can reach the soil (for example by adding a small ramp). It is best to cover the soil with a mesh so the female's laying stinger will fit through it but other crickets can't dig and eat the eggs. Always make sure that the soil is moist but don't flood it with water. Edited by Barristan, September 16 2018 - 8:44 AM. I've been keeping my pe tshop bought small crickets alive for the past few months, in their original container, but I swapped in 3 squashed toilet rolls, added a milk container lid stuffed with water soaked cotton for water, and a flat piece of polystyrene dish for fresh cut in half blue berry ( just one) or 1 slice of cucumber and dog/cat snack dry food. And then repeat, only costs $5-6 AUD for a pack anyway, and only need to buy 2-3 times a year! Edited by CoolColJ, September 17 2018 - 5:35 AM. Yep this is also a good idea. Especially if you don't have a lot of large ant colonies to feed. Currently I have quite few ant colonies so I do the same as you. Buy the smallest size of crickets and feed them so they grow larger. I freeze some too, so I have fresh food for a long time. hat's pretty much what I do now only I separate them into larger vented tubs when I get them. With my collection of critters I need all sizes so I'm always buying small crickets because after a few days they've grown too big and buying large crickets because they don't grow fast enough! When I first buy a tub of large crickets I cool them in the fridge then put them in a larger tub and remove all the males and feed them to the frogs. Hmm, I guess just buying a $12 order of 250 every couple of months and not focusing on breeding might be easier. I made a new cricket holding container this week. I added 3 flattened toilet rolls, a thin layer of red dirt in a small but small container that is enough to stop them from jumping out. Everything went well, apart how much dirt these critters move into the toilet rolls, and onto the milk container lid with a soaked cotton for water! So I decided to add styrofoam slabs to hold the food and another for the water, thinking that this should stop them dirting up the water cotton. But I found it funny that two crickets, have dug a passage under one of the foam slabs. Edited by CoolColJ, October 7 2018 - 2:46 AM. I think giving my new cricket container red dirt substrate was a bad idea, they completely covered the water cotton in dirt! have you heard of youtube? why would you even make a topic for this.. seems pointless tbh. youtube has A LOT of how to breed cricket videos. also since youre interested, try dubia roaches over crickets. - they have more protein, don't smell- crickets smell bad!, don't make any noise!- crickets are annoying af, and are easier to raise. This forum is supposed to be a place questions anyway. Just as an experiment I put in a short 16mm test tube into my cricket setup, setup with 50% water like a typical ant test tube setup, but the cotton is extended out like a carpet inside - my theory is they can use this to drink from and lay eggs on the wet cotton. Nice innovation Col, I might give it a go myself. My crickets seem to only lay 1 egg per stint. They like to dig a hole in the coco coir filled container and then reverse in to lay or reverse into the test tube to do the same. I think a larger 20mm test tube is the go. Even a sponge damming the water should work. You would need several of these for a busy setup though. Also my setup is in a sealed container with lock flaps, and drilled holes at the top, just 5x16mm with cotton wool plugs. 2 layers of kitchen paper towels at the bottom, covered by an inch of vermiculite. Edited by CoolColJ, November 22 2018 - 9:41 PM. Edited by CoolColJ, November 25 2018 - 12:07 AM.